Give your home a well-deserved makeover by turning to our experienced professionals. We provide a number of great flooring options, all aimed to suit your particular tastes and needs. Our flooring experts work with you to gather information about your home, lifestyle, and personal style so we can help you choose the laminate flooring that’s right for you. If you are looking for new floors, you’ve come to the right place. The inventory found in our showroom and online is vast, but we are happy to help you sort through your options. Whether you want the rich look and feel of laminate wood flooring or you prefer the classic appeal of laminate tile flooring, we have the options to meet your specific preferences. Our flooring specialists are happy to guide you every step of the way—from selection to laminate flooring installation. If you like beautiful, durable, and easily maintainable floors, laminate is a perfect choice for you. The first benefit you’ll notice about our laminate floors is the versatility of the material. It comes in all different shapes, sizes, colors, and textures, which allows you to customize it based on your preferences. If you love the look and durability of tile, then you’ll love our laminate tile flooring. You can get that high-end look without the large price tag. In addition to versatility, laminate is also great for people who want to keep their floors beautiful with minimal effort. Because of its sealed surface, this material naturally resists mold, moisture, and bacteria, and is cleaned easily with occasional sweeping and mopping. Its resistance to moisture also makes it ideal for kitchen and bathrooms. Trust our experts to help you find the perfect floors for your home. Many people don’t realize just how realistic laminate wood flooring can be. With the innovative technology that has come out over the years, our premium laminate is both durable and beautiful. It is a great alternative to hardwood in places like the bathroom and kitchen because it can stand up better to the moisture and heat without warping. 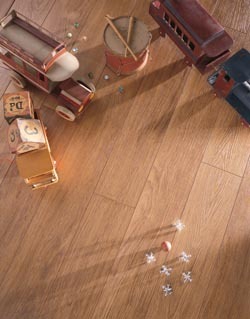 In addition, laminate are extremely cost-effective, making them perfect for people with virtually any budget. Count on our staff to stay with you from start to finish. From helping you choose your floors to the final step of installing them, we always strive to put your needs first. Our laminate flooring installation professionals work with you, as well as our sales and design staff, to ensure they know exactly what your goals are. We have spent many years installing a variety of flooring materials, so we know the most effective installation methods that not only ensure a quick install, but also make your floors last longer throughout the years. Contact us today to learn more about our laminate flooring products and services. We proudly serve customers in Laconia, Belmont, Gilmanton, Wolfeboro, and Moultonborough, New Hampshire.